This is a die-cut flange Lowney’s Chocolates porcelain sign. This particular Lowney’s Chocolates sign is white with black print. 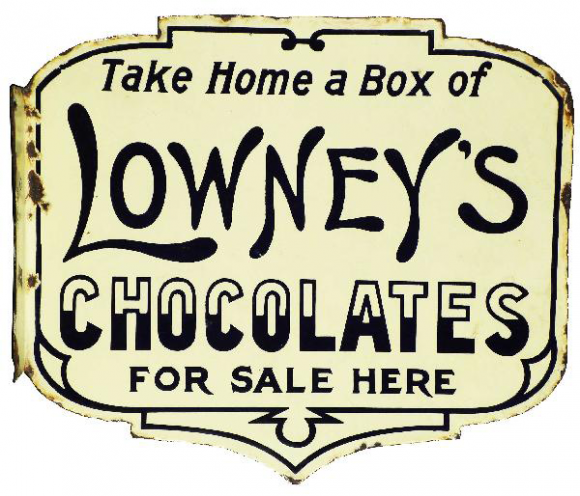 It reads, “Take Home A Box Of Lowney’s Chocolates, For Sale Here” and features a decorative black border.